Trifecta Wildlife Services provides comprehensive professional animal removal, wildlife removal, wildlife control, and wildlife damage management to resolve all of your wild animal issues. 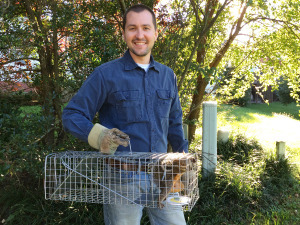 We are Lexington animal removal experts and provide animal removal of raccoons, squirrels, birds, bats, skunks, snakes, opossums, and many other species. We begin with a detailed inspection and synthesis of information to propose a solution. Our equipment, techniques, and products used in removing, excluding, and trapping wild animals, or repairing and restoring animal damage to your property are professional grade. We aim to provide you complete peace of mind that your wildlife issue will be resolved from our first phone call. 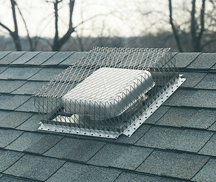 Trifecta Wildlife Services only uses mechanical methods of animal trapping or exclusion unlike potentially harmful chemicals and pesticides commonly used in pest control. Trifecta Wildlife Services is permitted by the Kentucky Department of Fish and Wildlife Resources to perform wildlife control and fully insured to perform work on your home, business, or property. Trifecta Wildlife Services provides only animal pest control and does not offer invertebrate pest control; no bugs. We also advise that you contact your local animal control or humane society for issues involving domestic dogs and cats.